Bask in the glow of this incredible statement necklace, with layers of 9ct yellow gold woven into each other for an incredibly opulent texture. Reserved and worn for the grand occasions, keep this piece as the denouement for lavish parties or even as an anniversary gift that will never be forgotten. Wear your elegance proudly with our range of classic and trending styles. 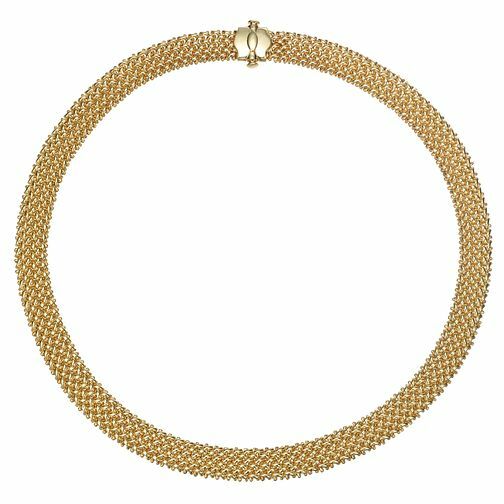 9ct Yellow Gold Woven 18" Necklace is rated 5.0 out of 5 by 1.